In My Mailbox... I've received some great eGalleys last week! 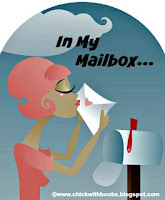 And I decided I would join in on the fun sharing them with you and the other bloggers participating in Mailbox Monday! 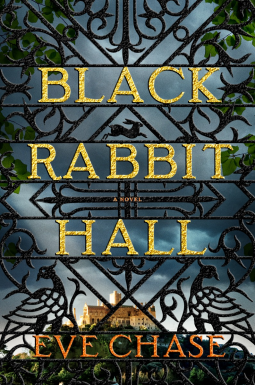 Black Rabbit Hall by Eve Chase... Ghosts are everywhere, not just the ghost of Momma in the woods, but ghosts of us too, what we used to be like in those long summers . 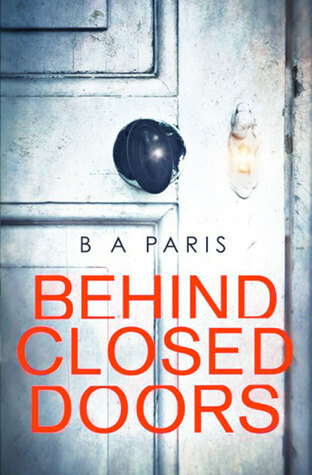 . . Amber Alton knows that the hours pass differently at Black Rabbit Hall, her London family's country estate, where no two clocks read the same. Summers there are perfect, timeless. Not much ever happens. Until, of course, it does. Ahh, a ghost story in a country estate in London! Need I say more? 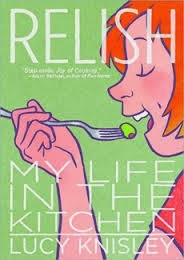 I am so looking forward to diving into this one! (and actually I have!) 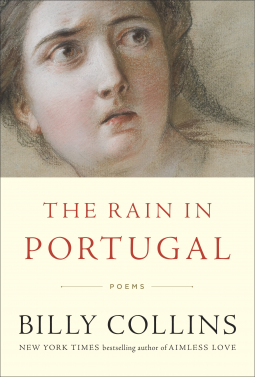 Thank you to Penguin Group Putnam and G.P. Putnam 's Sons. 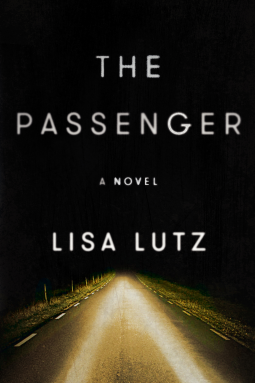 The Passenger by Lisa Lutz... A blistering thriller about a woman who creates and sheds new identities as she crisscrosses the country to escape her past: you’ll want to buckle up for the ride! "In case you were wondering, I didn’t do it. I didn’t have anything to do with Frank’s death. 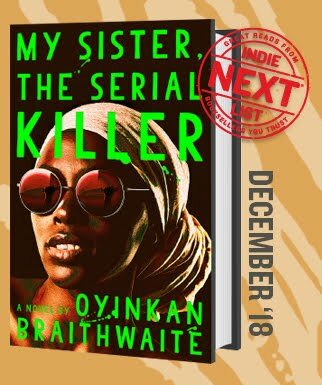 I don’t have an alibi, so you’ll have to take my word for it..."
I have been wanting to read this after all the great reviews for a long time! 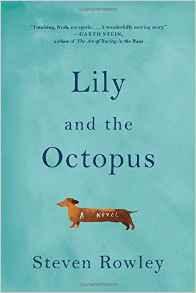 I kind of feel like I won the lottery here, but in all seriousness this sounds like a great read and Lisa Lutz has the talent to do it! 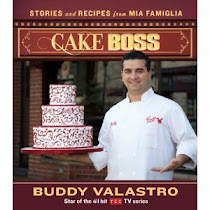 Thank you to Simon & Schuster! Fell side by M.R. 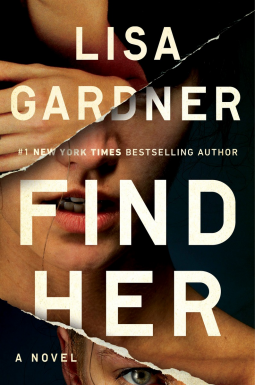 Carey... From Kirkus Reviews: A woman in prison must fight violent inmates and suspicious ghosts to find some measure of redemption. Jess Moulson wakes up in the hospital with no memory of where she is or what has happened. High on heroin, she started a fire that burned her own face beyond recognition, severely injured her addict boyfriend, and led to 10-year-old Alex Beech’s death by smoke inhalation. Jess is found guilty of Alex’s murder and sentenced to Fellside, a notorious women’s prison in the remote Yorkshire moors. Alex’s ghost visits her in prison, assuring her that she was not the one who hurt him and begging her to uncover the truth behind his murder. 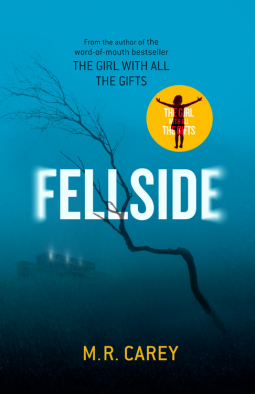 Soon Jess is projecting into “the Other World” with Alex while simultaneously navigating the very dangerous real world of Fellside. You know, I love a good ghost story and the hook here for me was Alex's ghost coming back and visiting Jess in prison. I thought that was interesting. And I'm also interested in how well M.R. Carey handles Jess visiting "the other world", which I presume to be the place in-between life and death. 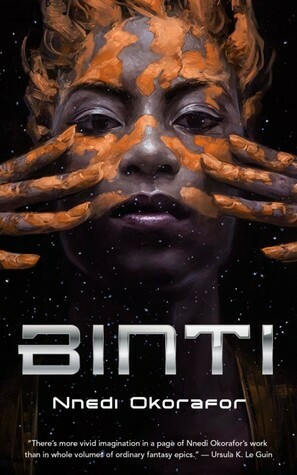 Thank you to Orbit Books! 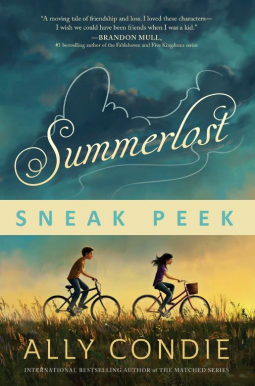 Summer lost by Ally Condie... It's the first real summer since the devastating accident that killed Cedar's father and younger brother, Ben. But now Cedar and what's left of her family are returning to the town of Iron Creek for the summer. They're just settling into their new house when a boy named Leo, dressed in costume, rides by on his bike. 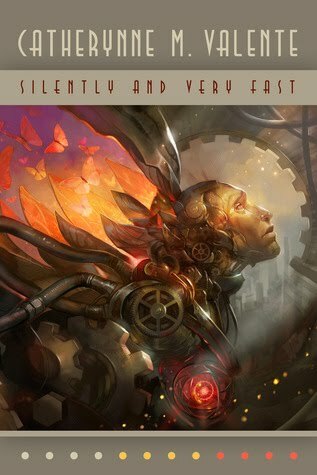 Intrigued, Cedar follows him to the renowned Summerlost theatre festival. 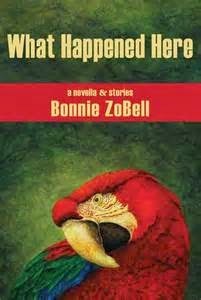 Soon, she not only has a new friend in Leo and a job working concessions at the festival, she finds herself surrounded by mystery. The mystery of the tragic, too-short life of the Hollywood actress who haunts the halls of Summerlost. And the mystery of the strange gifts that keep appearing for Cedar. 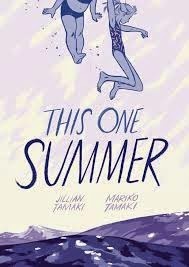 This was just a 6 chapter sampler released by the publisher, but it sounded like a wonderful "summer" read, and hints of a coming of age tale, so I happily downloaded the sample eGalley! 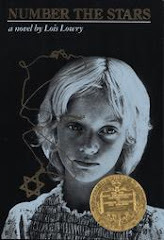 Thank you to Penguin Group, Penguin Young Readers Group, and Dutton Books for Young Readers. That's my mailbox this past week, what kind of books arrived on your doorstep?! Hop on over to Mailbox Monday and check out what everyone found waiting for them! 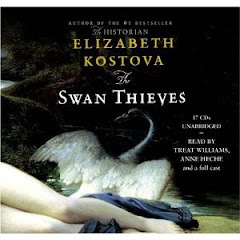 For the entire month of March read (or listen if it's an audiobook) to any books in your TBR pile. 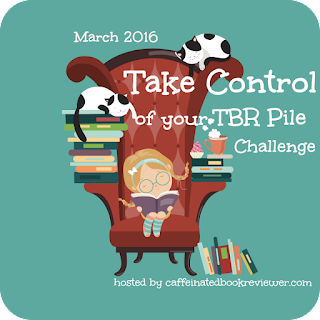 There will be a twitter party, a 24 hour read-a-thon, and a giveaway too! If you'd like to participate you can sign up at Caffeinated Book Reviewer, and you can get the full details there too. This should be fun! 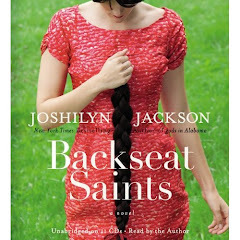 And no matter how many books I read during the month from my TBR pile, it will be one more off the shelf! And isn't it true? Our memories float around waiting for opportunities to show that they are still hanging around. But the process of creating a memoir, and one that would interest someone you don't know, well that is talent and I'm curious of the process. 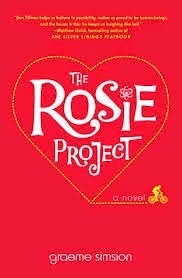 On my TBR list! 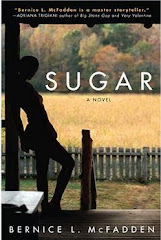 The Sunday Salon and the Winner Is... 5 Best Picture Nominees based on a Book (with 3 more movies based on books you may or may not want to see)! 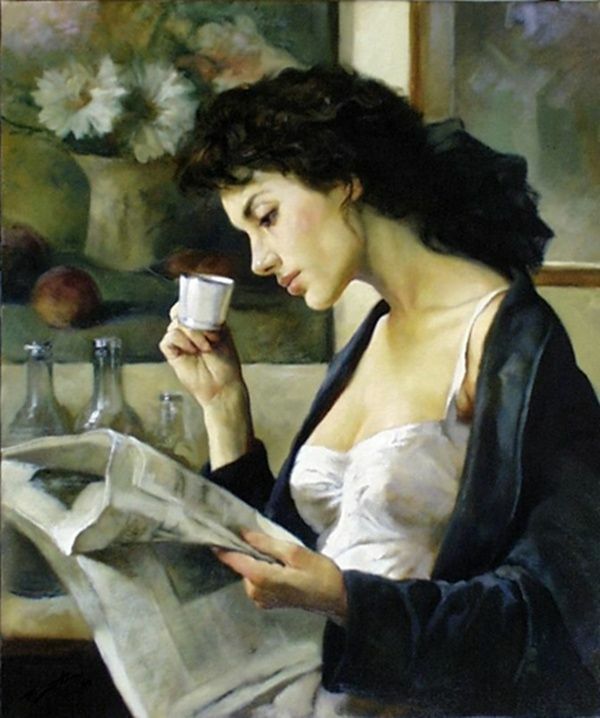 Welcome to The Sunday Salon and The Sunday Post! It's that day of the week bloggers from all over the internet get together virtually in a large gathering place called The Sunday Salon and talk books! And The Sunday Post, which is a weekly meme hosted by The Caffeinated Book Reviewer, in which more bloggers share their bookish news!! I thought we'd talk a little about the Oscars this week. 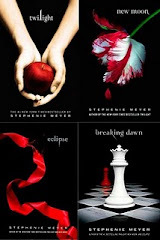 There are so many movies based on books, and it's not surprising. Why not adapt something that's already written. Though it sounds like it may be easy, it's not. Sometimes the results are great, and I put all the Harry Potter movies based on the J.K. Rowling books in this category, and sometimes the movies fall short (this I'm going to have to think further on because I can't think of any that were that bad off hand). 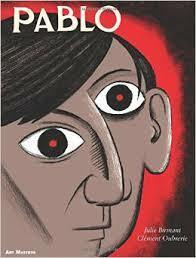 2.The Reader by Bernard Schlink... 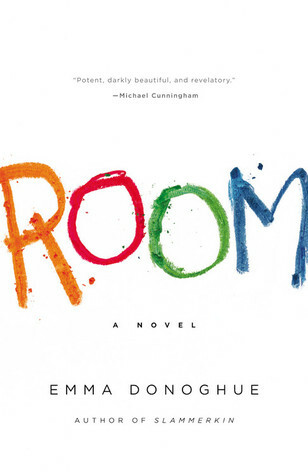 I also LOVED the book AND the movie based on The Reader (although they changed the ending in the movie, the ending in the book was better). 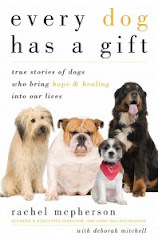 The movie was devastating and the book was just as gripping. 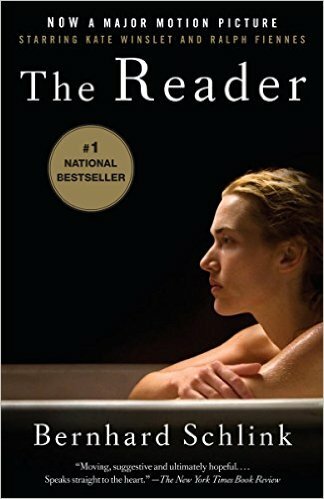 The Reader takes place in postwar Germany, with 15 year-old Michael falling ill on the way home from school, and 30-year-old Hanna helping him. 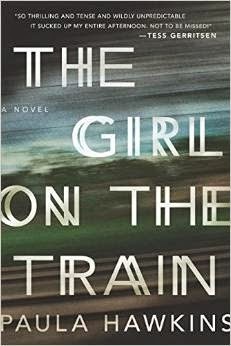 They become friends, then lovers and then then she disappears, only to reappear years later on trial for war crimes. When they finally meet again she is an "old" woman. 3. 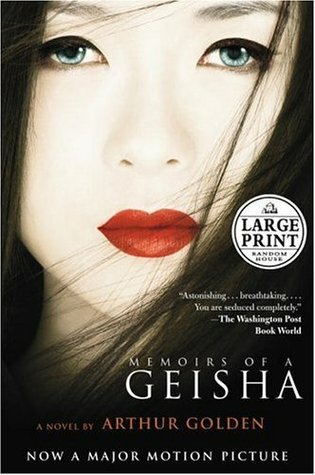 Memoirs of a Geisha by Arthur Gold... And lastly, I LOVED the book Memoirs of a Geisha (can we say how amazed a MAN actually wrote this book one more time!) but I did not really care for the movie. It was beautiful to look at, the scenery, the Geisha's, but I don't think it really brought the characters to life. 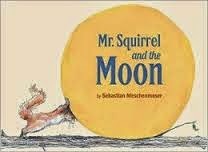 The book was so wonderful, but the movie didn't do the story justice. 1. 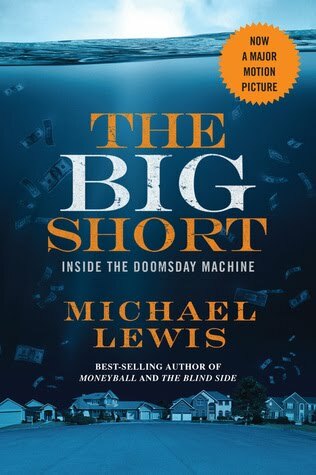 The Big Short based on The Big Short: Inside the Doomsday Machine by Michael Lewis about the build-up of the housing and credit bubble during the 2000s. 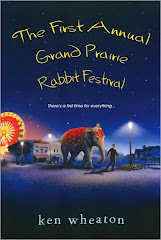 This kind of movie (or book) isn't really my cup of tea, so I have not seen it, but hey, it's up for best picture! Have you seen it or read the book? 2. 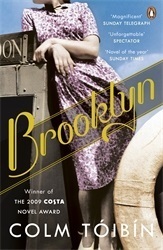 Brooklyn based on the book Brooklyn by Colm Tobin. Set in 1952, the film tells the story of a young Irish woman's immigration to Brooklyn, where she quickly falls into a romance. 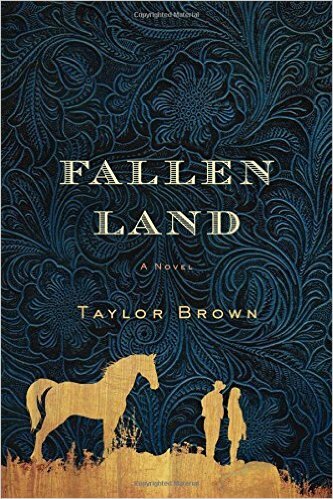 When her past catches up with her, however, she must choose between two countries and the lives that exist within them for her. This is on my list of movies to see. The cinematography looks beautiful! 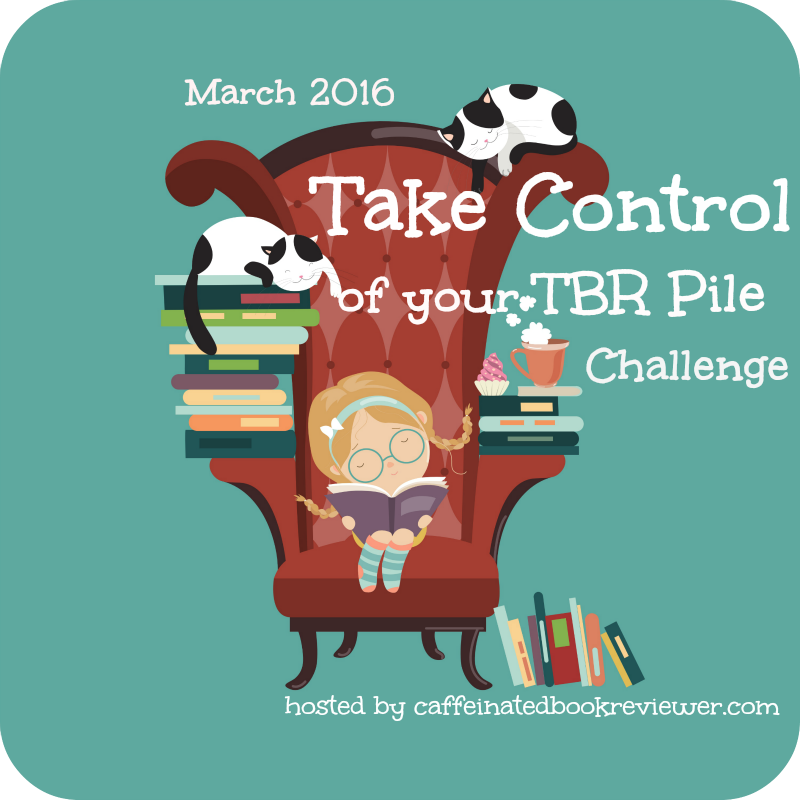 And the book is in my TBR pile. Anyone see this movie yet? How about reading the book? 3. 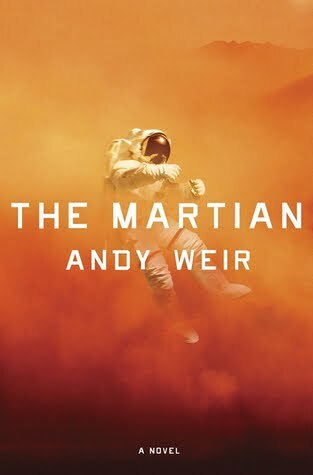 The Martian based on the book The Martian by Andy Weir. About a research expedition to Mars gone wrong. One astronaut gets injured, is presumed dead and left on the planet during an evacuation. When it's found out that he survived, it's a race to see if they can rescue him before he runs out of food and water. 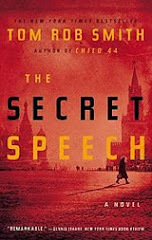 I really enjoyed the book, which I wasn't really sure about at first, but to me the movie was not as good as the book. 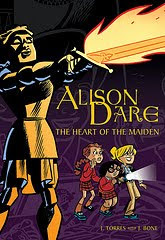 Book was just so much better probably because I was reading about those long periods of not much happening instead of watching them on the screen. Definitely you should read the book. 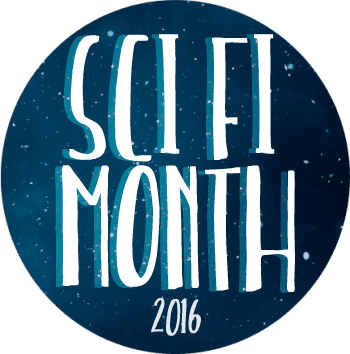 It is science fiction, but so much more than that! What did everyone else think? 4. 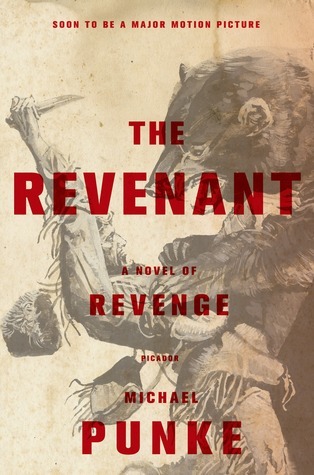 The Revenant based on the book The Revenant by Michael Punke. 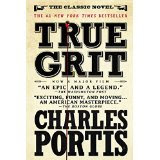 About a fur trapper who is mauled by a bear and left for dead, but doesn't quite die and seeks revenge on those that left him. I have heard that this movie is pretty grizzly (no pun intended), but it looks like the movie to see these days. Has anyone seen this and what did you think? did you think? And have you seen the movie? 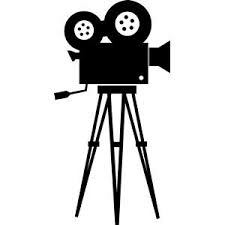 I'm more curious about how the movies I saw do at the Oscars than what movies get what awards. This year my hubby and I saw a handful of movies up for awards (Bridge of Spies, The animated movie Inside Out,which is absolutely wonderful! (and yes, it was not one of hubby's first choices to see), The documentary What Happened Miss Simone, which if you like Jazz music and like Nina Simone you will love this movie as I did, Ex Machina, and of course The Martian. 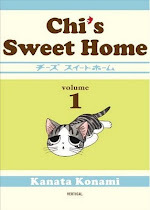 ), but I have a few more books to read before seeing these other movies, because I like to read the book first! Enjoy the Oscars, and enjoy these books! 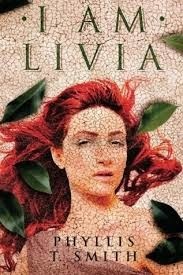 What movies have you enjoyed that were based on a book?! Do you like to read the book before you see the movie? Mailbox Monday, and some great books that arrived in the mail. 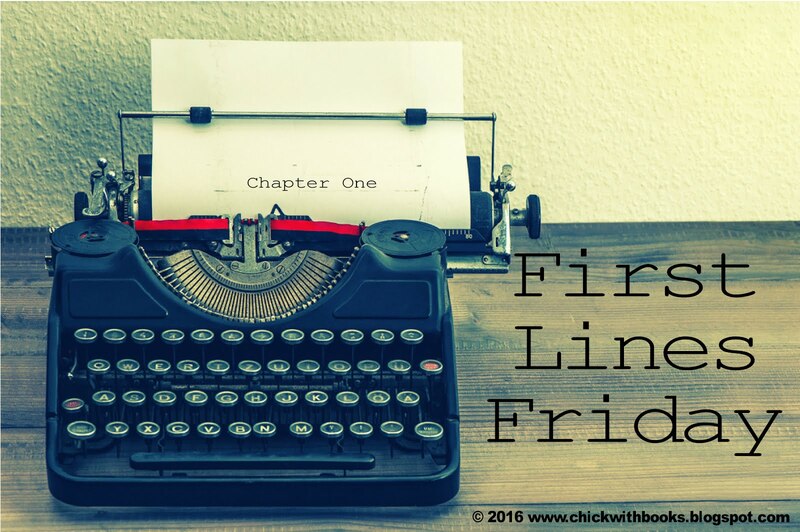 First Lines Friday, would you continue reading or put it down? 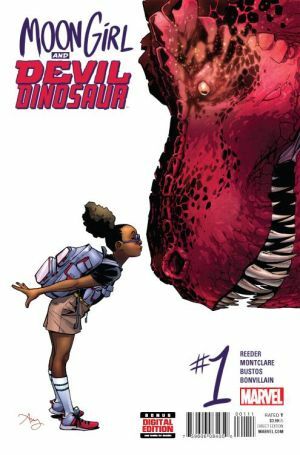 Moon Girl and Devil Dinosaur review Marvel comics starts a new series with a strong female protagonist and I love it! What's is all about? Moon Girl is really Lunella Lafayette, a 10-year-old, little girl, who is super smart (genius) and nerdy, with no friends, and a strange alien time bomb in her DNA that will eventually change her into something inhuman. 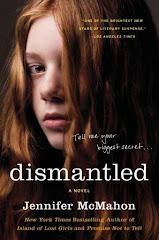 She'd rather invent things to try and solve the whole alien DNA problem, than live a normal preteen life, which makes her kind of not fit in too well with the world she lives in. Fortunately (or unfortunately depending on your point of view at the moment) Lunella finds an alien orb that creates a time portal and Devil Dinosaur leaps into the present day along with 5 prehistoric cavemen called Killer Folk, because basically they kill people. 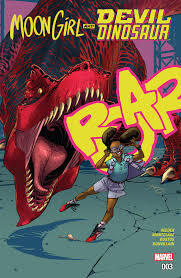 This causes a bit of havoc, with Lunella getting captured by Devil Dinosaur. Eventually the story is suppose to have Lunella and Devil Dinosaur team up together and become the BFF's they need. Issue #1 introduces us to Lunella, her school, and family. Shows us how she doesn't really fit in and no one really understands her. She's smarter than her 10 years and looking forward to getting into a better school. We also are introduced to Devil Dinosaur in a brief "backstory", where he is with Marvel's original character, Moon Boy, Devil Dinosaur's original sidekick. We also meet the Killer Folk briefly and are introduced to the orb that first originates in prehistoric times with the Killer Folk and Devil Dinosaur until the time portal opens and Devil Dinosaur walks through "the gate" followed by the cave guys. The cave guys are after the orb, Devil Dinosaur is after the cave guys (because they killed Moon Boy) and Lunella is trying to hold onto the orb because she thinks it's the key to solving the alien DNA problem she has. 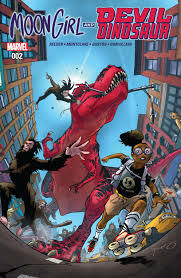 Issue #2 finds Devil Dinosaur, who still has Lunella, causing all sorts of havoc in the city where Lunella lives. At the same time, the 5 cave guys are causing their own havoc in the subway and then with a couple of policemen. I don't want to spoil anything here, but Lunella finally gets away from Devil Dinosaur only to be captured by the cave guys... you'll have to read the comic to find out what happens. What do I think of the Series so far? So far, I am enjoying it! The beginning of the story was a little much with first Moon Boy & Devil Dinosaur and the Killer Folk. Just too much going on that didn't seem necessary. 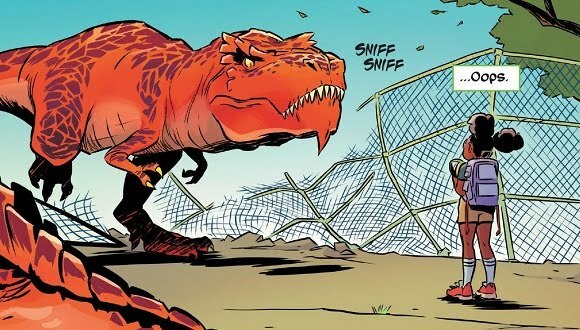 I guess the writers felt they had to somehow get Devil Dinosaur into the present day somehow and without Moon Boy, since these 2 were beloved characters many years ago. After we get all that straightened out, the story seems to flow better. Lunella is just perfect! She is really thought out and well developed. Her storyline is great - nerdy little girl who doesn't really fit in, uses her brains to good advantage and just so happens to have a pet Dinosaur, who can crush any living thing. 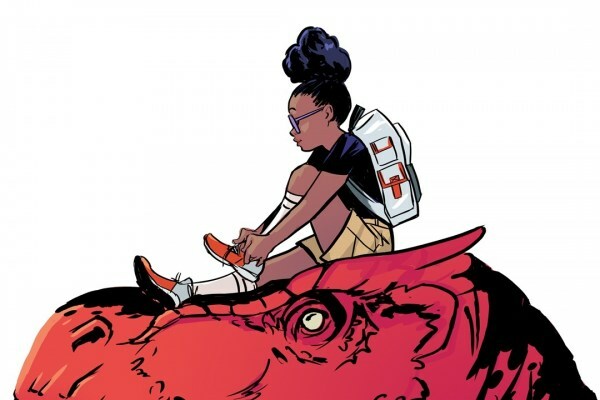 By issue 3, Lunella and Devil Dinosaur are working together to help others. The artwork is great, particularly Lunella, who is so adorable! I like the fact that Lunella is a strong female character, but we can also say that Marvel has shown some diversity here by making Lunella African American. I look forward to reading the next few issues to see this Marvel World take shape. Moon Girl and Devil Dinosaur have such great potential and I have high hopes. One point Marvel had in developing Moon girl was to offer something to the younger crowd, someone they could relate to and I think Lunella (aka Moon Girl) can serve that purpose. I also think that adults will enjoy this too. It's fun (those cave guys have potential to really be funny as they adapt to 21st century life), and the camaraderie between Moon Girl and Devil Dinosaur has the potential of bringing out the kid in you! I give this series 3.5 Cavemen, with a good potential for a 4 plus rating in the future if they make this into the great series I think it can be. The first 3 issues are already out, #4 will be at your local comic shop on Feb. 24th and the trade paperback, collecting #1 - #6, will be out July 5th, 2016. 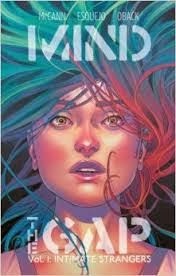 Published by Marvel Comic. Writers: Brandon Montclair and Amy Reeder. With art by Natacha Bustos and Amy Reeder. *BTW, do you think you're not a comic book reader? I never thought I was either. Someone handed me a graphic novel and told me to read it. I was curious, but I didn't think it would have me reading comic books. It did though. 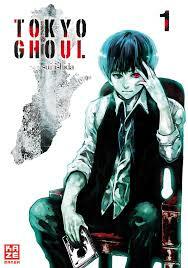 The storyline was great and the artwork was too. Even the lettering was nice. 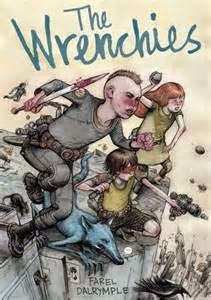 Of course not all graphic novels and comic books have artwork that I like or that you may like. And for the most part I hate computer generated lettering, much preferring hand lettering. BUT, the point of my little speech here is to say, if you thought comics were silly, they may surprise you. Things have changed since we were kids, and you should step out of the box and try one. Harvee L. is the Winner! Congratulations! February 18th was my Blogiversary, and as a thank you to all my readers at Chick with Books, I had a giveaway for one lucky person to chose ANY book I've reviewed or highlighted during the 7 years on the blog! Harvee was the winner! What book did Harvee choose?! 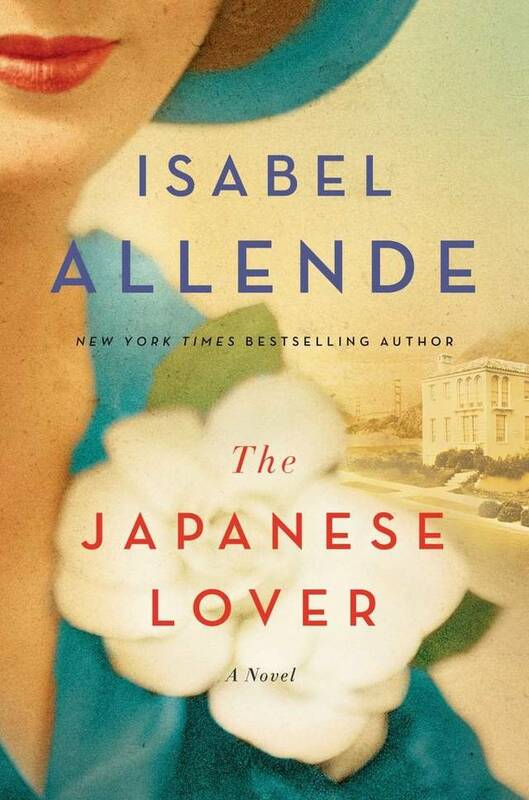 She chose The Japanese Lover by Isabel Allende! 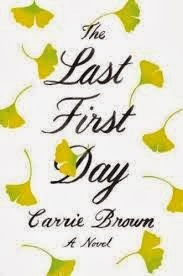 It was my first book of 2016 and has gotten almost a 4 star rating with over 1500 reviews on Goodreads. I hope you enjoy it Harvee! And THANK YOU to EVERYONE who helped me celebrate my Blogiversary with greetings and by entering in the Giveaway! "The thing about Simon Limbres’s heart, this human heart, is that, since the moment of his birth, when its rhythm accelerated, as did the other hearts around it, in celebration of the event, the thing is, thathis heart, which made him jump, vomit, grow, dance lightly like a feather or weigh heavy as a stone, which made him dizzy with exhilaration and made him melt with love, which filtered, recorded, archived—the black box of a twenty-year-old body—the thing is that nobody really knows it." 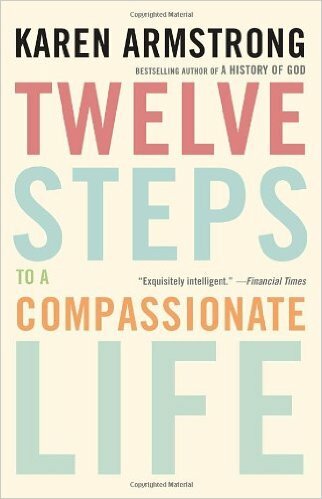 Twelve Steps to a Compassionate Life by Karen Armstrong... In this important and thought-provoking work, Karen Armstrong—one of the most original thinkers on the role of religion in the modern world—provides an impassioned and practical guide to helping us make the world a more compassionate place. 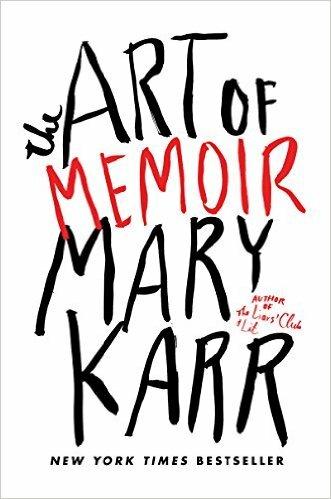 Not a memoir, but more of a guide by Karen Armstrong, who is best known as a religious historian and former nun. In 2008, she won a $100,000 TED prize to spread an idea- her idea was compassion. 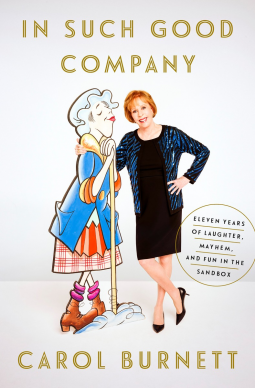 She created the Charter for Compassion, and this book is a result of her original idea. 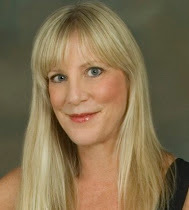 Here is a link to her Ted Talk Wish: The Charter for Compassion. What a wonderful idea! 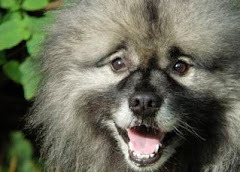 And to help you along with your road to compassion, Joy of Joy's Book Blog, is hosting Compassionate Sundays, where each month one of the steps will be discussed over at Joy's Blog. A gathering place where people can share their thoughts. Thanks Joy for hosting such a gathering place. 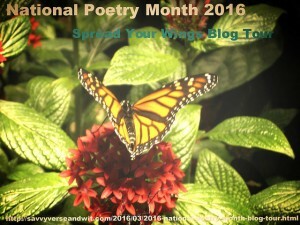 You can learn more by going to Joy's Book Blog. Doesn't Harvest Moon sound like fun?! 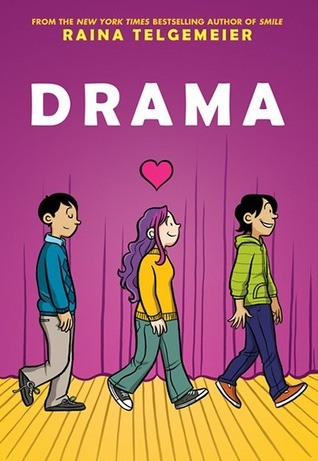 I love the idea that Trent and Veronica start a relationship of sorts online and then Trent figures out that the mystery woman he's been chatting up online is the "laced-up" librarian in his hometown! I can't wait to dive into this one this week! Keep your eye out for my review. On a rainy afternoon, a mother's life is shattered as her son slips from her grip and runs into the street . . . 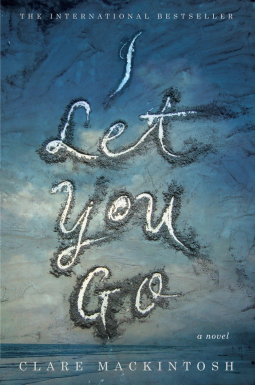 I Let You Go follows Jenna Gray as she moves to a ramshackle cottage on the remote Welsh coast, trying to escape the memory of the car accident that plays again and again in her mind and desperate to heal from the loss of her child and the rest of her painful past. 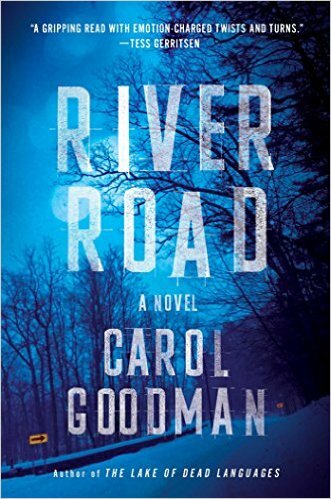 At the same time, the novel tracks the pair of Bristol police investigators trying to get to the bottom of this hit-and-run. As they chase down one hopeless lead after another, they find themselves as drawn to each other as they are to the frustrating, twist-filled case before them. 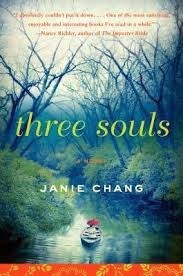 Suze Simon—all grown up and engaged to her once-ghostly soulmate—faces a vengeful spirit and an old enemy bent on ending Suze's wedded bliss before it begins. All Susannah Simon wants is to make a good impression at her first job since graduating from college (and since becoming engaged to Dr. Jesse de Silva). 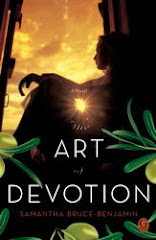 But when she’s hired as a guidance counselor at her alma mater, she stumbles across a decade-old murder, and soon ancient history isn’t all that’s coming back to haunt her. Old ghosts as well as new ones are coming out of the woodwork, some to test her, some to vex her, and it isn’t only because she’s a mediator, gifted with second sight. 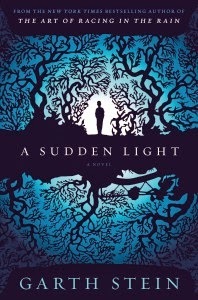 From a sophomore haunted by the murderous specter of a child, to ghosts of a very different kind—including Paul Slater, Suze’s ex, who shows up to make a bargain Suze is certain must have come from the Devil himself—Suze isn’t sure she’ll make it through the semester, let alone to her wedding night. Suze is used to striking first and asking questions later. 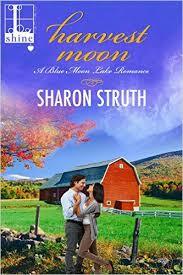 But what happens when ghosts from her past—including one she found nearly impossible to resist—strike first? 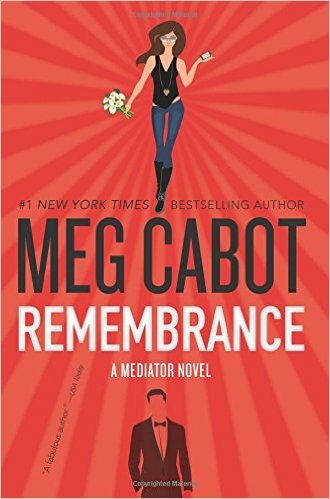 Love Meg Cabot and her writing. 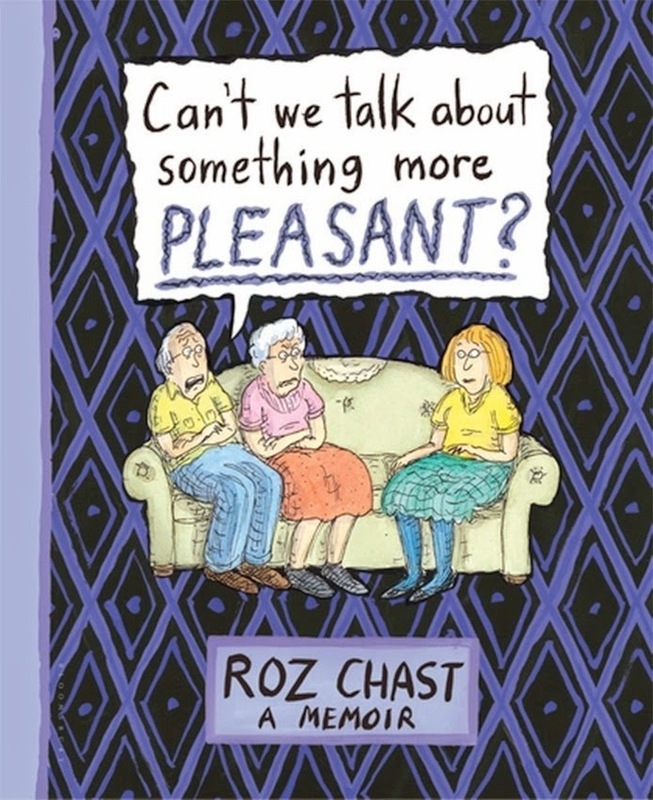 It's fresh and tinged with just the right amount of wry humor! Thank you William Morrow! Six-year-old Rocky worships his older brother Paul - 16 and full of rebel cool, smoking cigarettes, driving around in his Nova blasting Neil Young - until the day Paul, in an ill-advised act of vengeance against their father, picks Rocky up from school and nearly leaves him for dead in the woods. Paul then runs off with his beautiful, fragile girlfriend, never to be heard from again. Eight years later Rocky is a teenager himself. 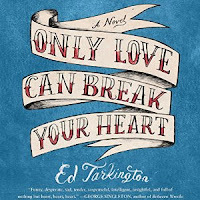 Although he's never forgotten the abandonment of his boyhood hero, he's now getting over it, with the help of the wealthy neighbors' daughter, Patricia, 10 years his senior, who has taken him as her lover. 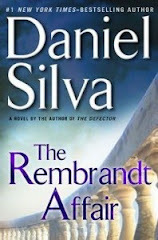 Rocky's in love - or thinks he is - but the affair sets off a sequence of events that bring ruin to the lives of both families. It's been a long time since I've listened to an audiobook and I look forward to relaxing to someone else reading to me for a while! 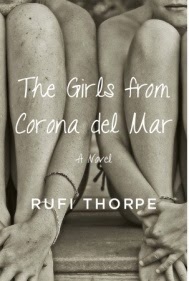 This has been on my TBR list too! 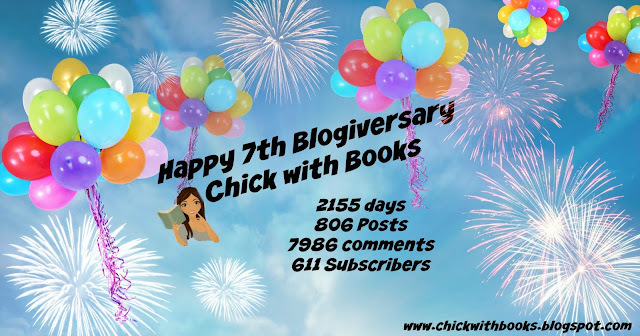 My biggest bookish news this week is that it's my Blogiversary! 7 years ago on February 18th I posted my first post on Chick with Books! It was a review for Pillars of the Earth by Ken Follett, one of my favorite books still to this day! 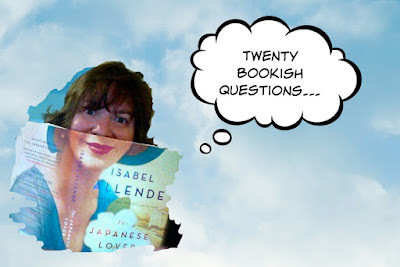 I didn't know where I was going to go with the blog, I just wanted to talk books! 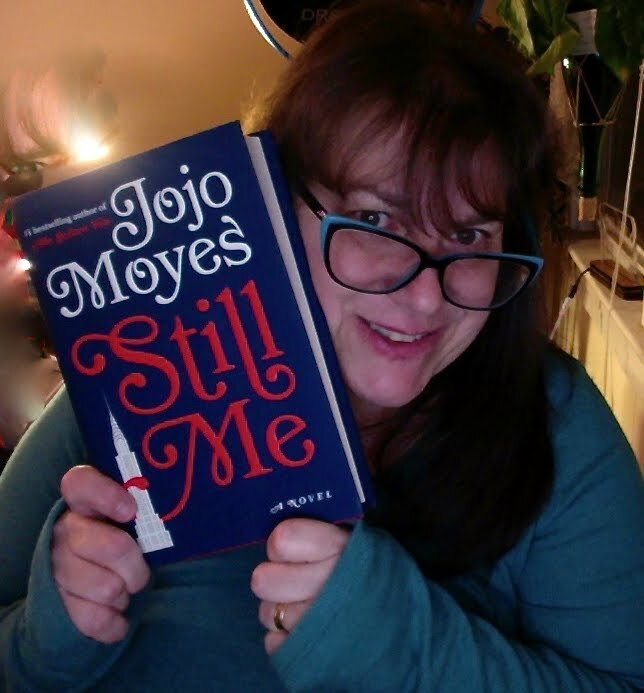 But in the 7 years I've been book blogging, I have met so many wonderful readers, bloggers, authors, publishing reps and all around great people! 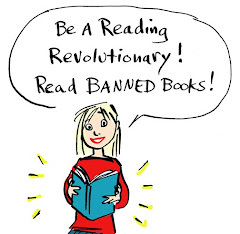 I've read so many great books and shared them all with YOU! Thank you for sticking around and taking this journey with me! As a thank you, I've got a little giveaway going on! 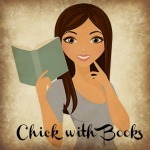 Want to pick out a book from Chick with Books? One lucky winner is going to get to pick out any one book that I reviewed or highlighted on Chick with Books from the last 7 years! Enter HERE! Don't be shy! It's still February, and so there still is a little romance in the air. Or at least our hearts are still going pitter patter. 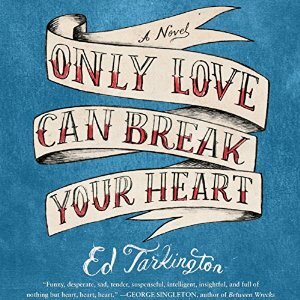 Well, here are 3 books that have heart...or at least heart in the title. 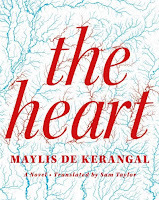 The Heart by Maylis De Kerangal... Just before dawn on a Sunday morning, three teenage boys go surfing. Returning home, exhausted, the driver lets the car drift off the road into a tree. Two of the boys are wearing seat belts; one is sent through the windshield. He is declared brain-dead shortly after arriving at the hospital. His heart is still beating. 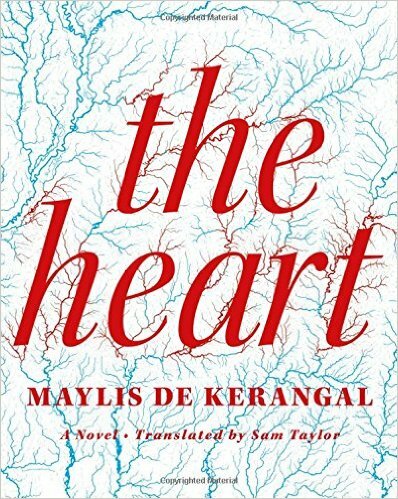 Finally translated from the French to English, and just released here in the States, The Heart has won praise and accolades already in France, and seems to be following the same path here. 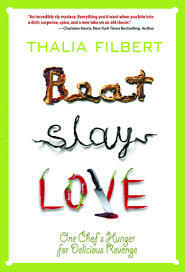 I've read that it's beautiful and thought provoking. 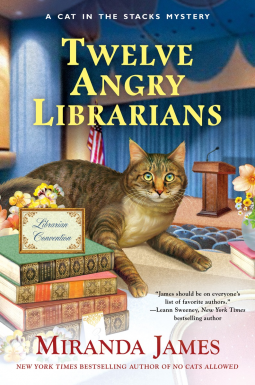 On my TBR list. 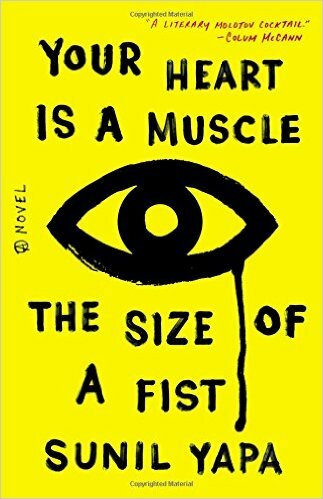 Your Heart is a Muscle The Size of a Fist by Sunil Yapa.. On a rainy, cold day in November, young Victor--a nomadic, scrappy teenager who's run away from home--sets out to join the throng of WTO demonstrators determined to shut down the city. With the proceeds, he plans to buy a plane ticket and leave Seattle forever, but it quickly becomes clear that the history-making 50,000 anti-globalization protestors--from anarchists to environmentalists to teamsters--are testing the patience of the police, and what started out as a peaceful protest is threatening to erupt into violence. Over the course of one life-altering afternoon, the fates of seven people will change forever: foremost among them police Chief Bishop, the estranged father Victor hasn't seen in three years, two protesters struggling to stay true to their non-violent principles as the day descends into chaos, two police officers in the street, and the coolly elegant financial minister from Sri Lanka whose life, as well as his country's fate, hinges on getting through the angry crowd, out of jail, and to his meeting with the President of the United States. When Chief Bishop reluctantly unleashes tear gas on the unsuspecting crowd, it seems his hopes for reconciliation with his son, as well as the future of his city, are in serious peril. 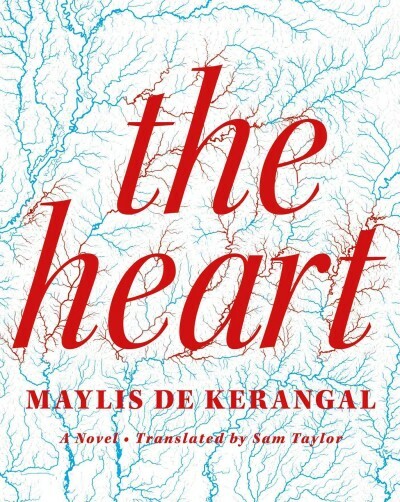 In this raw and breathtaking novel, Yapa marries a deep rage with a deep humanity. 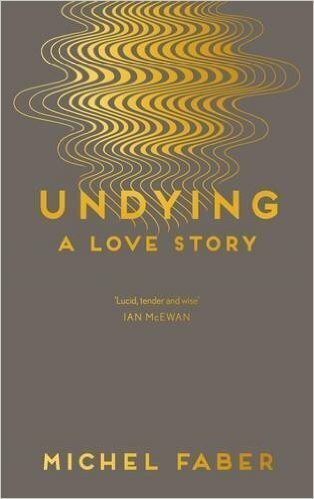 In doing so he casts an unflinching eye on the nature and limits of compassion, and the heartbreaking difference between what is right and what is possible. 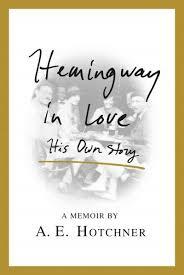 I've seen this book EVERYwhere, and with reviews ranging from "powerful & ambitious" to "a symphony of a novel". 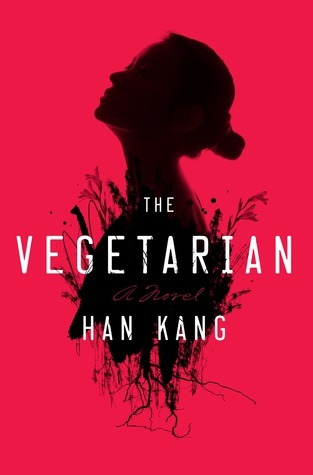 This looks like a "borrow from the library book" for me because it just isn't quite what I'd look for in a read, but I am curious enough to want to read it.This book was released in January of this year. 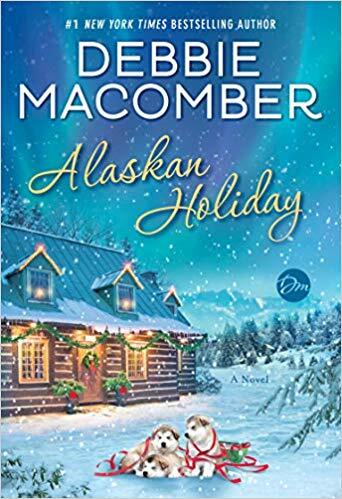 Sisters of Heart and Snow by Margaret Dilloway... Rachel and Drew Snow may be sisters, but their lives have followed completely different paths. 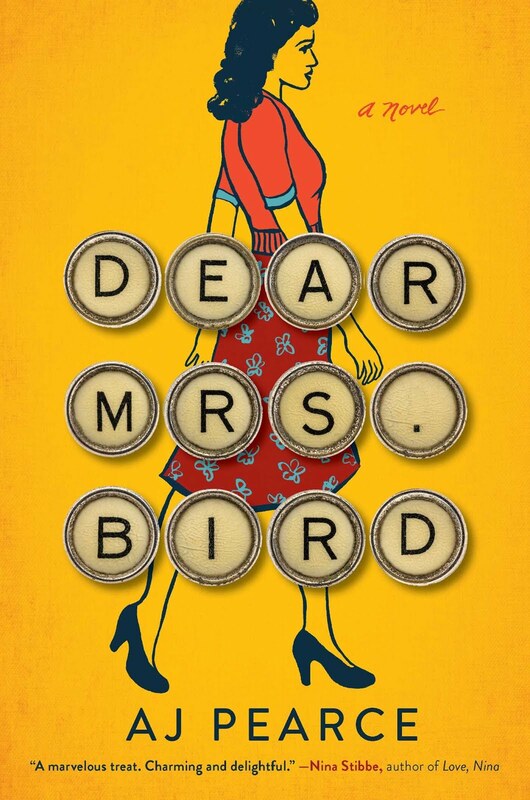 Married to a wonderful man and a mother to two strong-minded teens, Rachel hasn’t returned to her childhood home since being kicked out by her strict father after an act of careless teenage rebellion. Drew, her younger sister, followed her passion for music but takes side jobs to make ends meet and longs for the stability that has always eluded her. Both sisters recall how close they were, but the distance between them seems more than they can bridge. 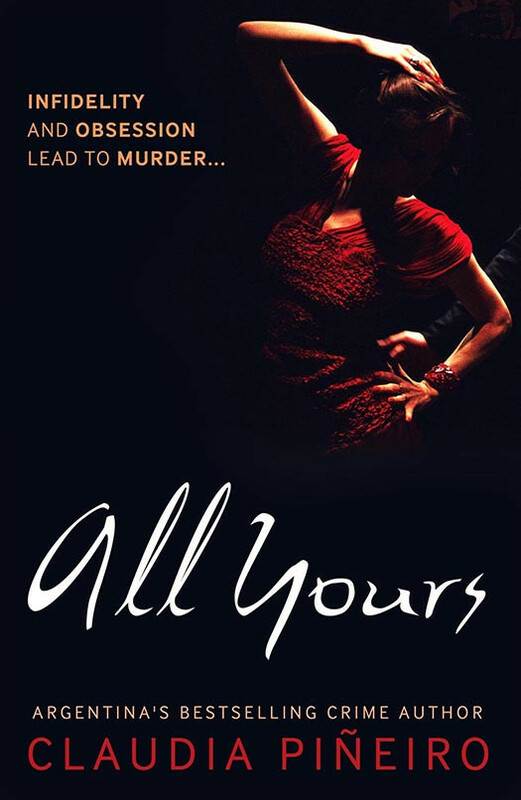 When their deferential Japanese mother, Hikari, is diagnosed with dementia and gives Rachel power of attorney, Rachel’s domineering father, Killian becomes enraged. 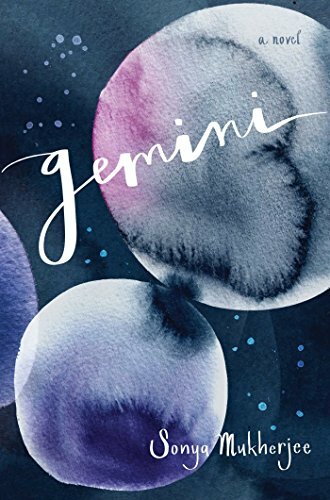 In a rare moment of lucidity, Hikari asks Rachel for a book in her sewing room, and Rachel enlists her sister’s help in the search. The book—which tells the tale of real-life female samurai Tomoe Gozen, an epic saga of love, loss, and conflict during twelfth-century Japan—reveals truths about Drew and Rachel’s relationship that resonate across the centuries, connecting them in ways that turn their differences into assets. 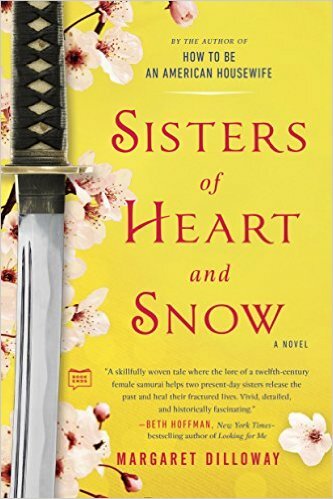 Sisters of Heart and Snow by Margaret Dilloway has 2 things right off the bat that call my name- it's about 2 estranged sisters (I generally love reading about the complex relationships between sisters) and there is a Japanese sword on the cover (I love reading stories taking place in Japan or with Japanese folklore) This seems to have a quiet fanfare, with wonderful reviews. 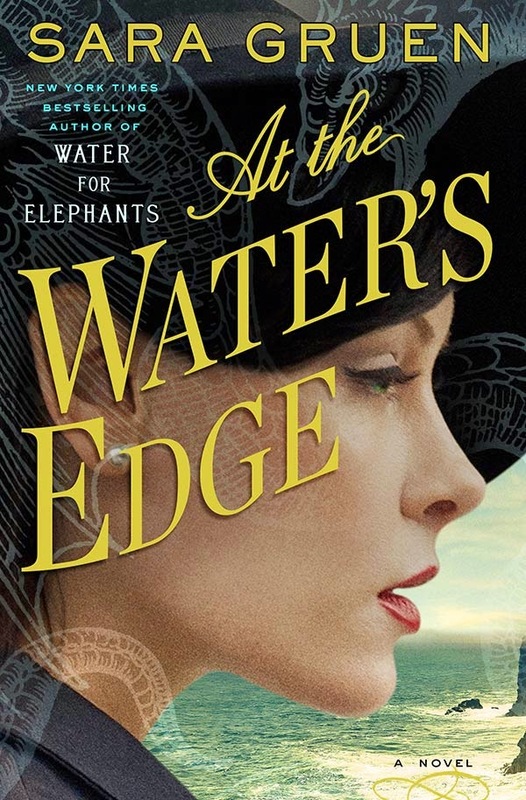 In particular most reviews note what a great job Margaret Dilloway does weaving the stories of the past and the present together. 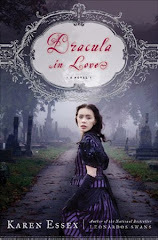 On my TBR list and will be released April 7th, 2016 by G.P. Putnam's and Sons. Wed. Feb. 17th... It's Twenty Questions! Get to know me a little better! Thurs. Feb. 18th... My Blogiversary and GIVEAWAY! Looks like a busy week now that I've written it all down! How was YOUR week?! And what great books did you find that made your heart go pitter patter or at least made you take it home with you?! Share your finds in the comments! 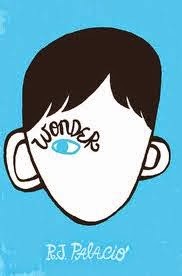 I love hearing about books that caught your eye! AND Don't forget to enter the giveaway! I can't wait to see what book someone chooses! 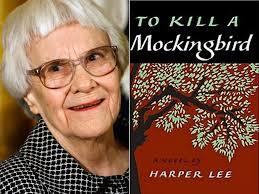 Known as the recluse writer who wrote a book called To Kill a Mockingbird in 1960 that changed the world. 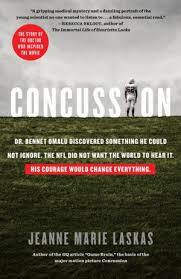 It has sold over 30 million copies, and is required reading. Most recently, Harper Lee was back in the news with the publication of a new book, a prequel that was dripping with controversy as to its authenticity, Go Set a Watchman. Though the world always wanted more from Harper Lee, it will have to be satisfied with her one crowning achievement - To Kill a Mockingbird. And what an achievement is was! Pale light crept into the black stanchions of pine, the ashen ground the red center of dying coals. The camped men rose, silent, and broke the bread of old pillage between blackened fingers. One of their number looked at his own. Soot and powder, ash and dirt. Neat crescents accrued underneath the nails, trim and black, like he’d tried to dig himself out of a hole int he ground. Or into one. 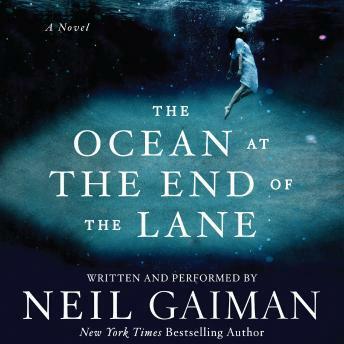 What I've read about the book, makes me want to read this. A kind of Cold Mountain type of love story and setting. But do these First Lines make you want to read more? 1. What is your favorite fictional food or drink? 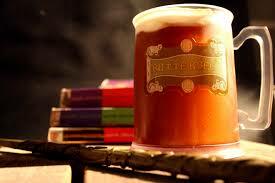 Although I have not actually drunk any, I would love to try some Butterbeer! A favorite in the world of Harry Potter, you can actually find a recipe from The Food Network now. I may have to give it a go! 3. 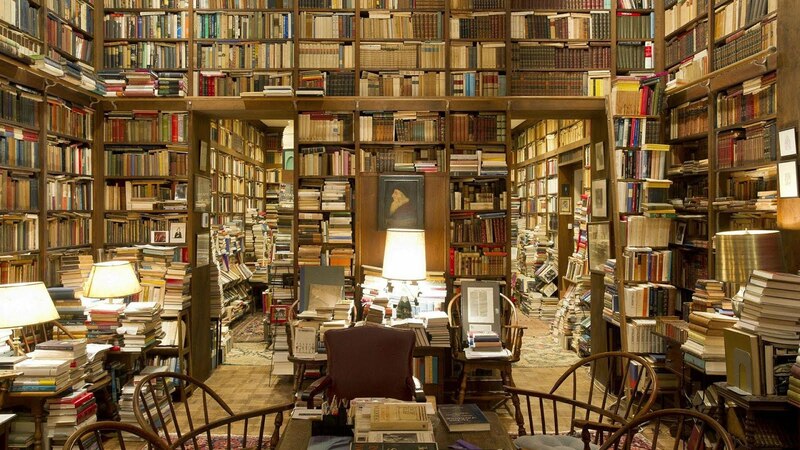 How many times do you stare at your books or bookshelves each day? Since I have books in almost every room, I would have to say I am constantly starring at my books. Some are on bookshelves and some are piles of books. 4. 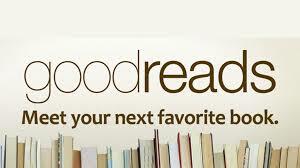 How many Goodreads friends and books do you have? I never really checked to see how many friends I have until today... I have 510 Goodreads friends! And I have 388 books on my Goodreads shelf. 5. Do you ever quote books in public? No. Wish I could remember quotes from my favorite books! 6. 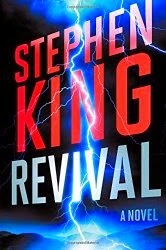 Do you ever re-read books? 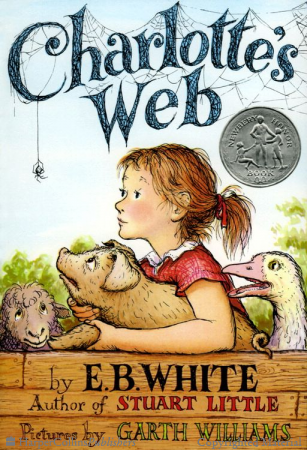 Very rarely... the last re-read was Charlotte's Web by E.B. White, and that's because the 60th (I think it was the 60th) anniversary edition of the book came out and I bought it and thought I would read it again. 7. 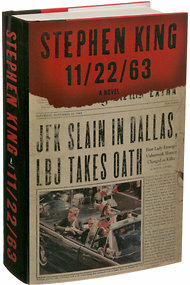 Do you judge a book by its cover? Yes... Sorry, but it is true. 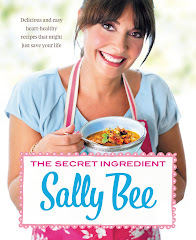 If there is an awful cover, it just puts me off. 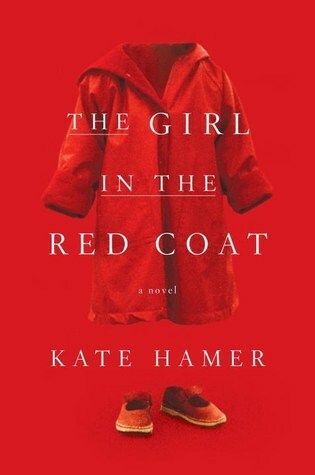 That doesn't necessarily mean I won't read it, but if no one has recommended it, I've never heard of it, and it has an ugly cover I will usually pass it by. 8. Instagram, Twitter or Tumblr? Definitely Twitter, then Tumblr, and one of these days I'm going to post to Instagram. 9. Which genres take you the longest to read? I would probably say Classics. I feel obligated to concentrate more. 10. Who are your favourite BookTubers (or Book Bloggers)? Too many to mention. I love the Book Blogging community and they're all great people! 11. How often do you pre-order books? Rarely. I did recently pre-order The Ex by Alafair Burke, because I had read a sample of the book and HAD to continue and knew I wouldn't get to a bookstore any time soon. But by the time it came, I had my nose in another book and have not had a chance to get back to it! 12. Are you a shopaholic? When it comes to books - yes! I'm not really a Mall kind of girl, but tell me about a bookstore and I'm there! 13. How many times have you re-read your favourite book? Never. I'm just not a re-reader. Although I save my favorite books, almost like a shrine on the bookshelves, and one day I may just open one up and start revisiting them. 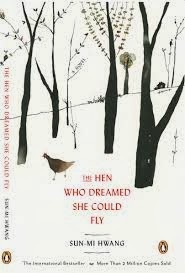 What book would I love to read for the first time again? Harry Potter and the Sorcerers Stone! 14. Do you own a lot of books? Yes! I hate to part with books! 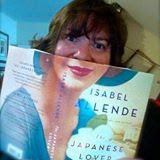 In an effort to downsize my growing numbers, I have donated many to the local library and given many away to friends. I moved from a house to smaller digs and had to put books in storage! 15. Do you take pictures of your books before you read them? No... I never heard of anyone doing that. I guess I have photographed them for a post before, but that would be the only time. 16. Do you read every day? Yes, I usually read at lunch time. 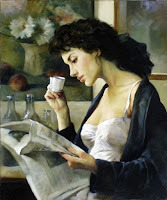 I sometimes read before going to bed. 17. How do you choose a new book? I look at lots of bookish websites, blogs, and publications to see what sounds interesting to me. Sometimes I'll be in a bookstore and just browse until something reins me in. That's the most fun. 18. Do you always have a book with you? Yes. At the very least I have my Android phone with Kindle and Google books available. And if I know I'm going to be "waiting" somewhere, I'll take either a book I'm reading or an eReader. 19. What are your biggest distractions from reading? 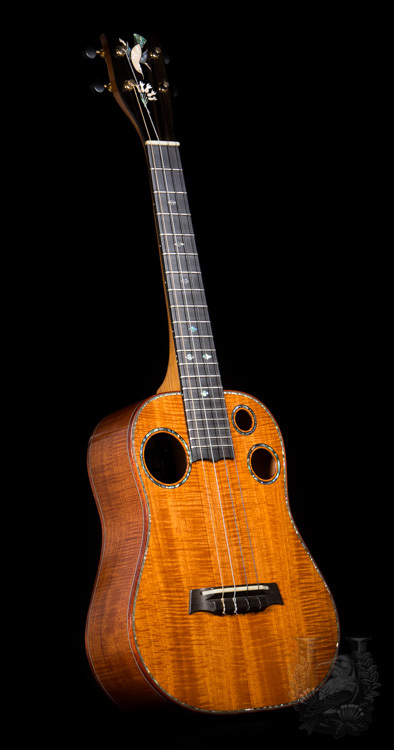 Work, photography, ukulele playing, crafts, cooking, a great husband I like to spend time with! 20. What is your favourite place to buy books? 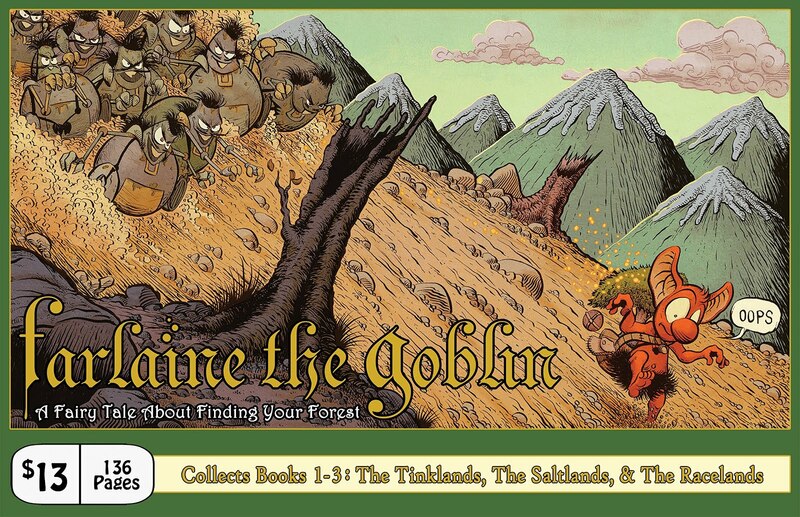 My favorite place to buy a book is a Indie bookstore, but since I generally don't have time to get to the one that's the next town over from me, I end up online at either Amazon or Barnes & Noble. Wasn't that fun! What are some of YOUR answers to these questions?